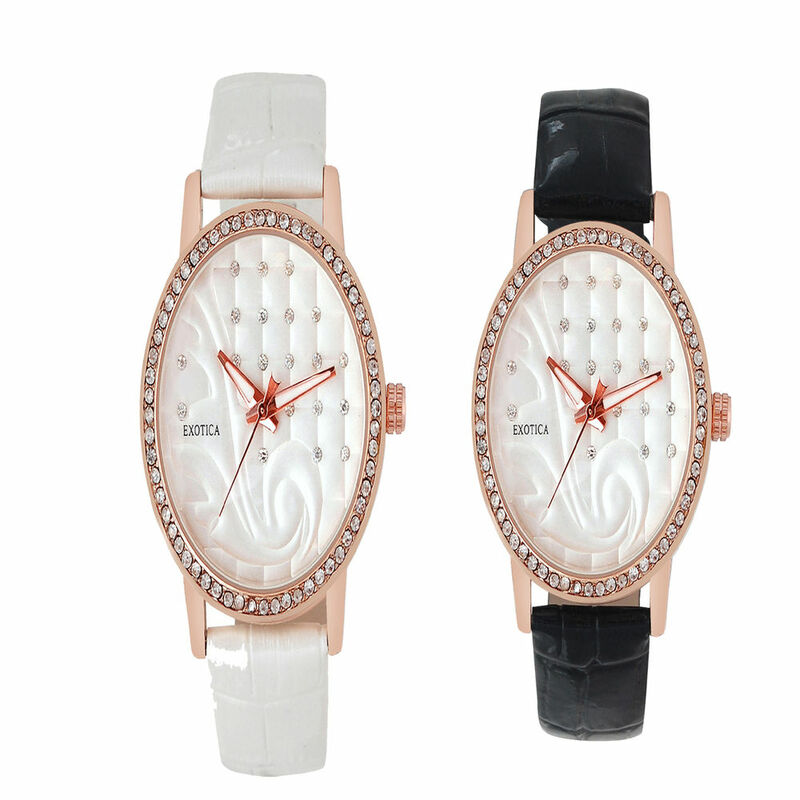 Exotica Fashions presents this combo of Two watches, which is a specifically designed for all the fashion conscious women/Girls out there. 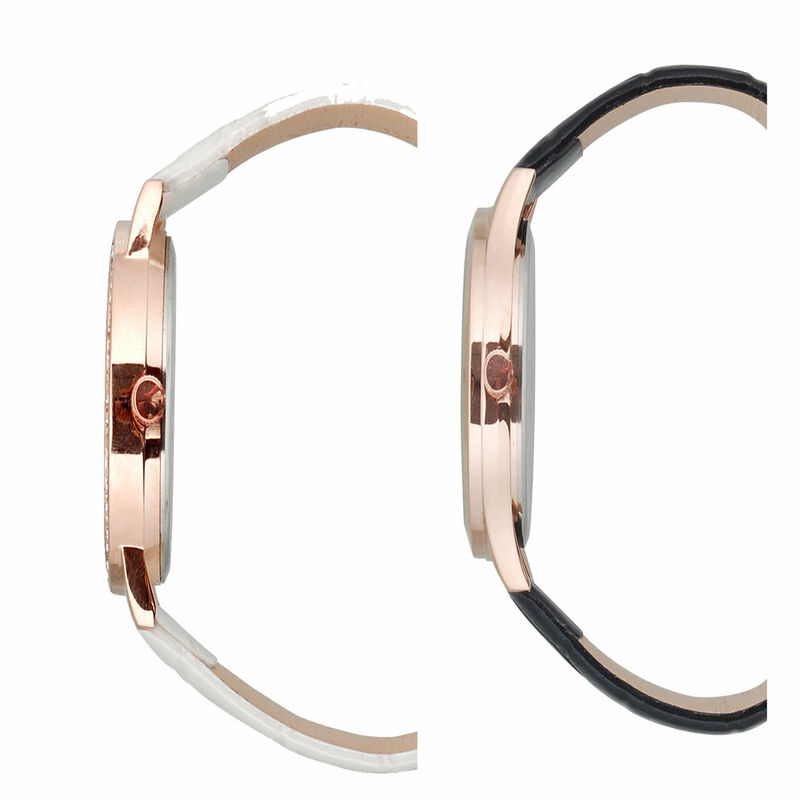 Each of these time pieces features round dial with uniquely designed case that looks beautiful with Leather straps makes these watches all the more appealing. 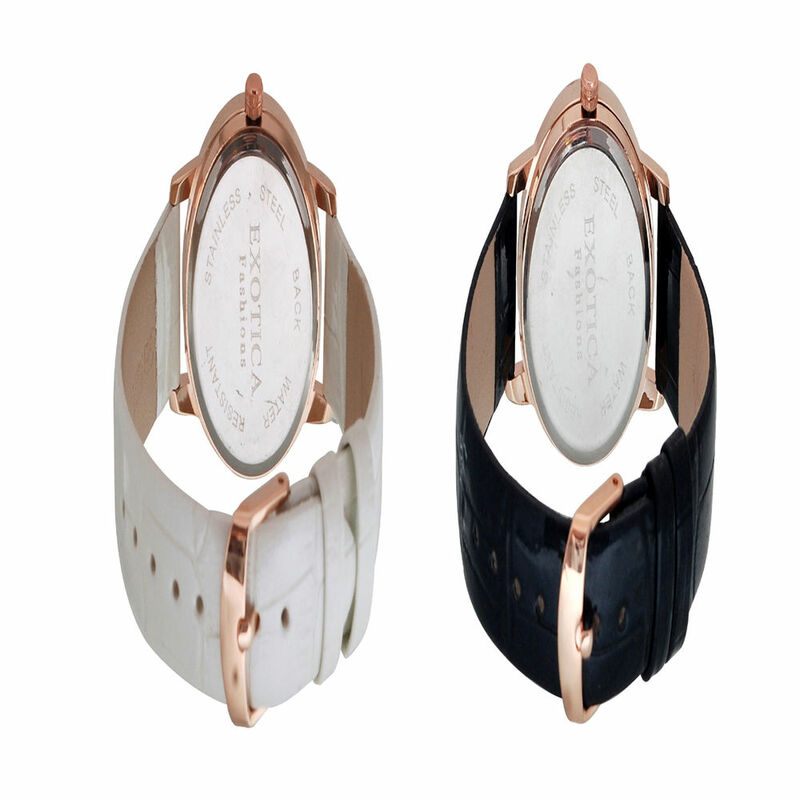 Available in Black And White, these time gears can be accessorized with different colored clothes to complete your fashionable look.